Just five days ago, the storefront at 1101 Commercial in Emporia, Kansas, was empty. That was before Marcia Lawrence, proprietor of Ellen Plumb’s City Bookstore, gathered together a band of booklovers who cleaned the space, hauled in dismantled shelves, and put them back together again. Today was “soft” opening day, with Marcia greeting customers with coffee and conversation. 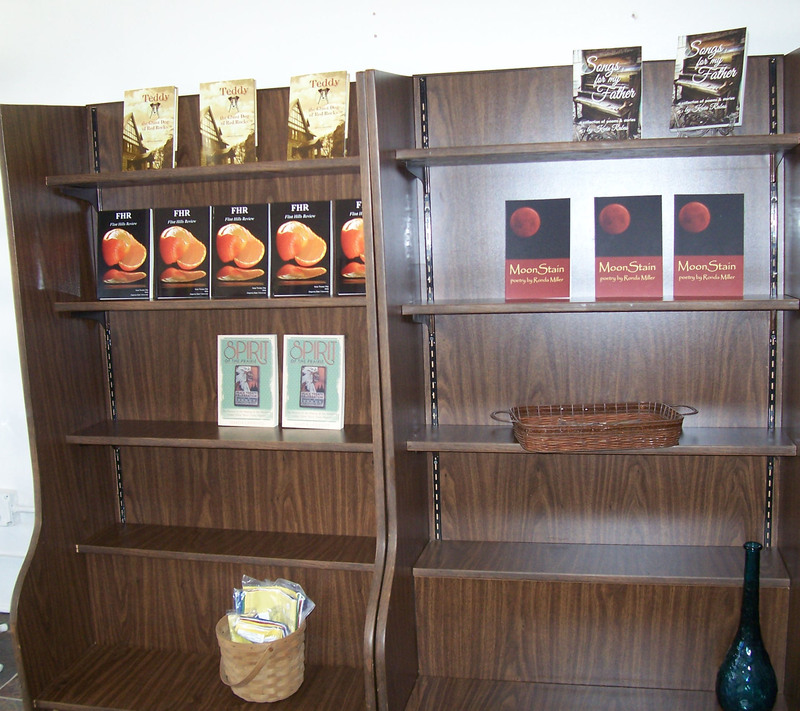 Books by Kansas authors line the shelves. 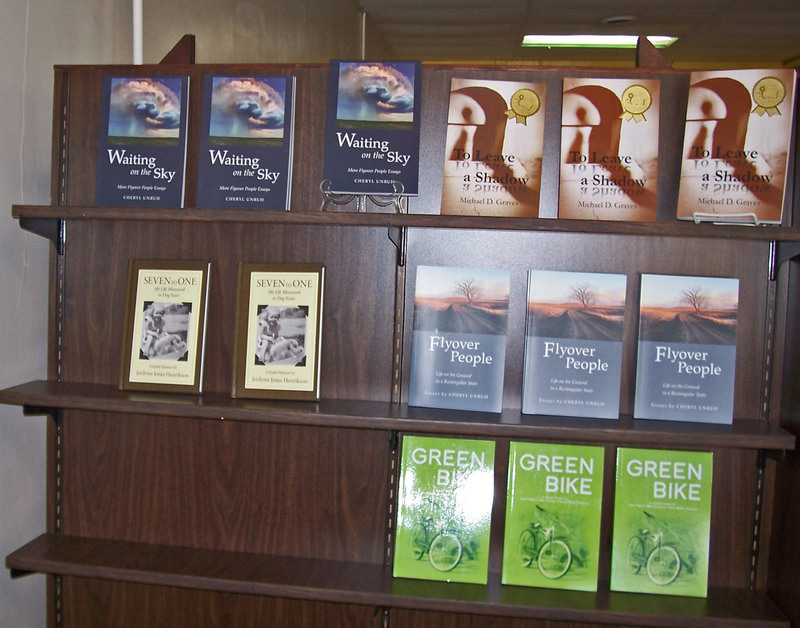 While waiting for books from national distributors to arrive, local writers are enjoying the ample display space their books are receiving. You’ll find poetry, history, mystery, and essays. Check out the Kansas Notable Books by authors Mike Graves and Cheryl Unruh. 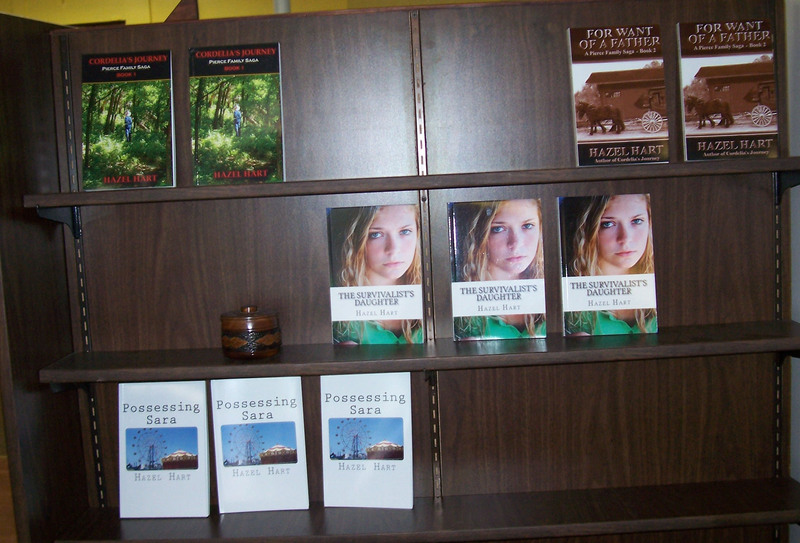 And here are four of my novels: two historical, one young adult, and one suspense. I have another suspense novel on order. 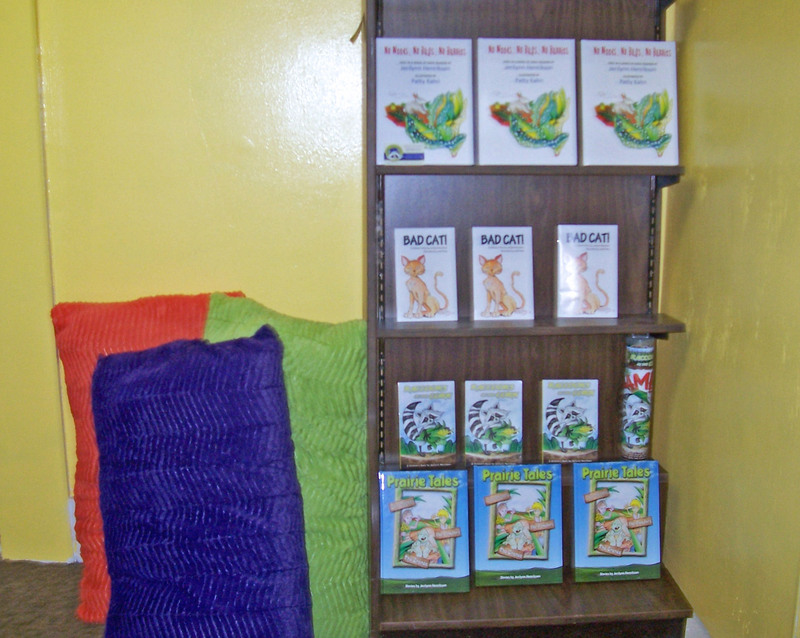 Marcia hasn’t forgotten the youngest readers, providing big pillows for them to relax on in the children’s section. Marcia has some great special events lined up. For more information, visit Ellen Plumb’s Facebook page. 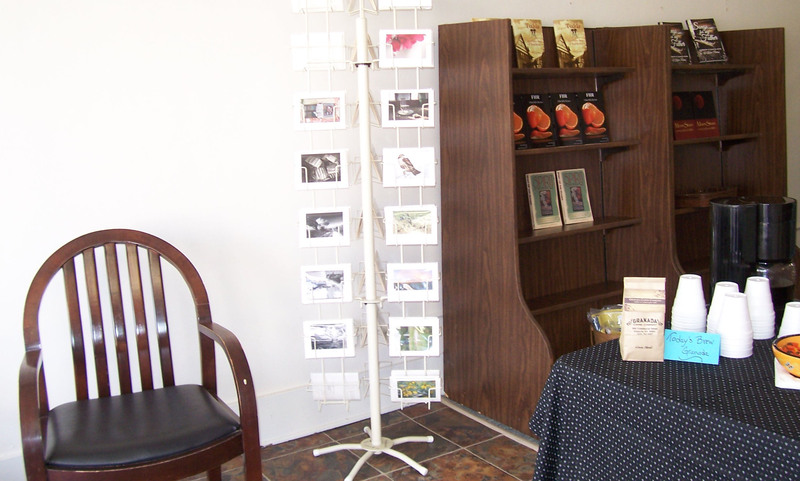 This entry was posted in Uncategorized and tagged bookstore, Ellen Plumb's, Kansas authors. Bookmark the permalink.